A team of 17 recovery specialists from the Department for Communities and Social Inclusion (DCSI) touched down in far north Queensland on Sunday 9 April to assist with the recovery efforts following devastating Tropical Cyclone Debbie. 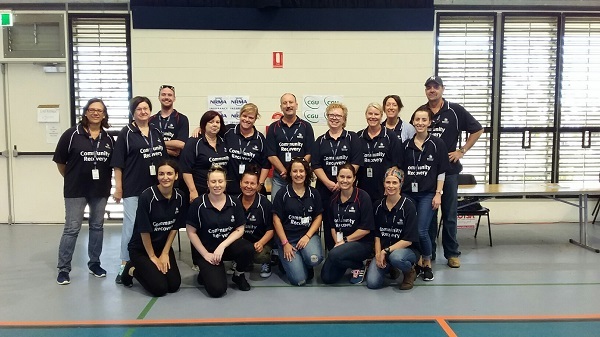 Sixteen of the group are working in the Mackay region recovery hub, while the remaining DCSI staff member has taken on the role of National Deployment Coordinator in Brisbane. The team is helping with the emergency relief and recovery effort, and providing respite to Queensland recovery staff. They nominated to participate in the deployment following a call from the Queensland Government for assistance. These DCSI employees have a high level of expertise in relief and recovery operations, developed while responding to South Australian disasters such as the Pinery and Sampson Flat fires. They have already proved to be a great asset to Queensland authorities, and will continue to assist over coming weeks. The team is due to return to Adelaide on Saturday 22 April. Our thoughts and best wishes are with the Queenslanders as they continue to recover from this disaster.